Halo Hair Designs carries many beauty & health care products but also has many many other fun accessories. 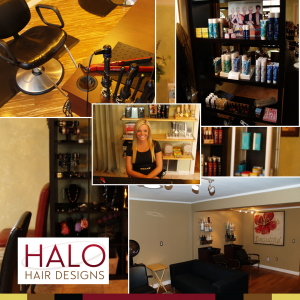 Halo Hair Designs is all about keeping it in the community by selling many locally made products! We carry all kinds of Hair care products, Hair spray, Hair gel, lotions, Keratin treatments for hair straightening, Nail Polish, Gelish Nail polish, Wet Hair Brushes, Flat Irons, Blow dryers, Locally made candles, Purses, Hand bags, Jewelry, Earrings, Bracelets, Sunglasses, Necklaces, Organic hair products, Organic soaps, Organic Candy, Pashmina Scarves, locally Hand made Scarves, locally Handmade bags and many, many other beauty accessories!! Stop by check us out 17 East Main Street, Shiremanstown, PA 17011 (Camp Hill zip code) on Facebook @Halo Salon & Boutique, Twitter @HaloHairDesigns, Pinterest Halo Hair Designs or Call us @ 717-761-9022 !! !